If I have to have whipped cream, it would be on a pie. Like the ones your would see at Grandma's. Swiss Chocolate Almond. Chocolate Cream. Strawberry. And the like. Otherwise, it's just not my thing. Long day at work called for ice cream. And I suppose some whipped cream. See that glob? That's my partaking in this day. Let's move on. 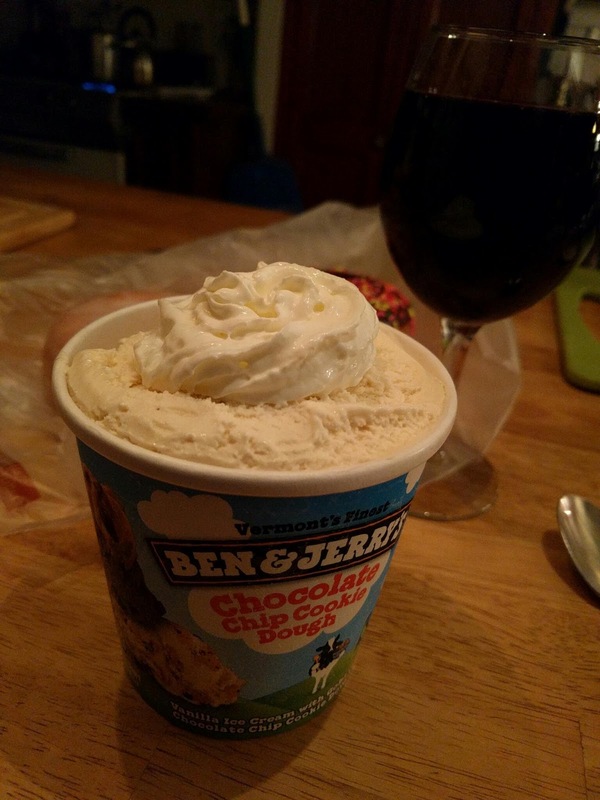 And if you are wondering, there are a couple of donuts and a glass of wine behind the ice cream. Like I said, it was a long day at work.